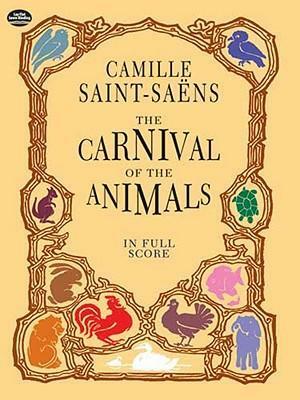 Written in 1886 for a Mardi Gras celebration, Saint-Saëns' best-known work consists of 14 pieces scored for flute/piccolo, clarinet, glass harmonica (tuned glass bowls), xylophone, two pianos, and strings. Playfully borrowing themes from other works -- including his own -- the composer paints delightful musical portraits of a lion, chickens, turtles, an elephant, kangaroos, and the immensely popular swan. Reproduced from an authoritative source. Instrumentation.